After almost a month after Penguin 3.0 was rolled out, we all might be wondering what the impact was on websites across the board. More than that, we might be struggling with how to move forward and what type of link acquisitions we should be doing. We get these questions almost everyday. Because of this, we will be having our webinar on Tuesday, November 18th at 1 PM EST, titled “Post Penguin Link Building & The Future Of Search Webinar”. We really thought about this and had to have someone that is in the center of it all and an expert in SEO. 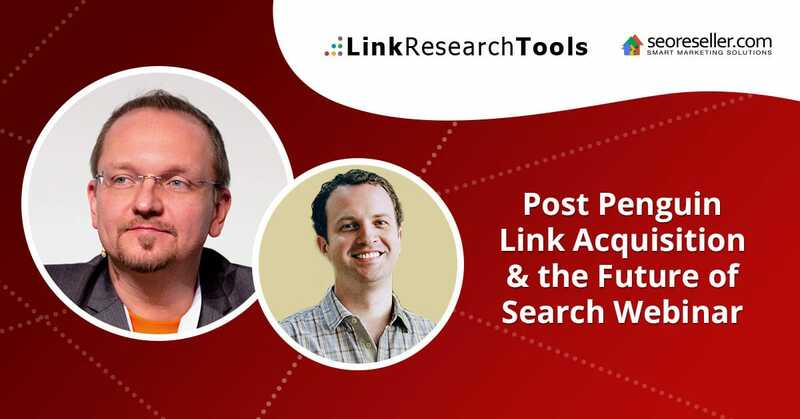 And there’s no one better than Christoph C. Cemper from LinkResearchTools.com and Link Detox to join us as we dig into post Penguin link acquisition and the future of Search. You will also be given a chance to ask us any questions you might have and we will be sure to get the answers for you. We’re really excited to have Christoph and as well as every one of you on our webinar. If you would like to register for this free webinar, you can do that here.